New from LightGraphix is a range of high quality architectural/yacht downlighters, which combine high power with a compact, shallow design. This new range has high CRI, and includes IP54 and IP67 rated versions for exterior use. Designed specifically for ceilings with a minimal recess depth, these fittings utilise the latest in LED technology and incorporate the highest quality machined components, thereby allowing the whole body to transfer the heat away from the LED. 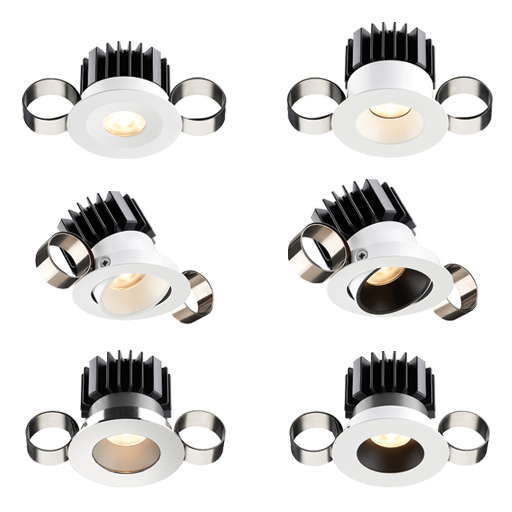 Careful LED selection, and extensive thermal testing and development time, has resulted in a range of downlights that offer huge light output from a very compact, shallow fitting.